*Position location to be determined by home country of successful candidate within a jurisdiction (Country or U.S. state) where WVI is registered to operate. The Senior Advisor for Child Sponsorship Marketing – Asia Region heads up the strategic direction of child sponsorship marketing within World Vision’s Asia Region support offices, focused on stabilizing fundraising income (currently at $333m annually) and returning it to growth. The role will have regional leadership for and representation of a global strategy initiative to revitalize child sponsorship marketing to become industry best in class, ensuring stability and future growth of our field ministry to bring life in all it’s fullness to millions of the world’s most vulnerable children. This is an exciting opportunity to be part of a global change initiative within a category leading iNGO. Responsibilities also extend to global leadership and strategic oversight of specific global marketing and supporter engagement projects relevant to the revitalization of child sponsorship. Lead a best in class regional marketing discipline through developing relationships with and competency of Asia regional fundraising offices (support offices). Be a trusted partner and source of truth on regional market knowledge – including macro trends, consumer needs and trends, and respective support office challenges and opportunities. Review regional support office Child Sponsorship fundraising business models, and as required help smaller offices develop more sustainable and compelling business cases including market sizing and assessments, competitive environment and marketing strategy to help make strategic growth choices. Strengthening Child Sponsorship Marketing Offer - acquiring regional research and insights, managing situational analysis and eventuating local market testing. Demand Generation, Content Marketing, Power Claims, Channel Optimisation & Development, Church Engagement - ensuring awareness and application of learnings and best practices from other support office led projects. Effectively represent our new global brand framework as a regional brand ambassador. Partner closely with the Digital Marketing & Technology Capability team to ensure digital transformation and customer experiences are foundational to the regional change agenda. Tag-team with other Private Funding regional advisor roles to share knowledge, insights and minimize duplication and ease of support office engagement/influence. Support the advance of common global resource development goals. 7-10 years in marketing, fundraising or related role, including 2 years at a leadership level with demonstrable success in achieving growth. Exceptional ability to lead change through relationship and influence, across diverse teams and cultures. Exceptional intellectual ability - a clear strategic marketing thinker. Significant experience in leading change in a complex environment. Ideally, minimum 2 years of experience leading a marketing function within one of the largest World Vision Support offices and / or minimum 4 years of experience leading a marketing function within a global, federated organization. Master’s degree or equivalent in strategy or marketing. The post-holder must have an active Christian faith. Strong marketing and strategy skills with working knowledge of change management principles. Exceptional interpersonal skills and able to win the confidence of a broad range of different stakeholders including leaders from a variety of cultural and professional backgrounds. Demonstrated ability to build effective working relationships and implementing global but contextually relevant marketing and branding in Asia. Demonstrated ability to guide, edit and assure clear, brief and compelling written and visual communications. Ability to synthesize complex concepts for a wide variety of audiences. Experience of working in a global and multi-cultural environment. Supportive and influential engagement with senior partners internally and externally, including leadership groups and peer directors. Excellent written and verbal communications in English, and at least one Asian language – preferably Korean or Chinese. Understanding of child sponsorship marketing strategies, with the ability to develop strategic and tactical communications plans and outline the resources required to implement them. Demonstrable experience in leading matrixed/complex teams, including staff, freelance and agency team members. Experience in setting, implementing, monitoring and measuring marketing plans and ensuring delivery against agreed targets. An understanding of international development and empathy for people living amid poverty or oppression. 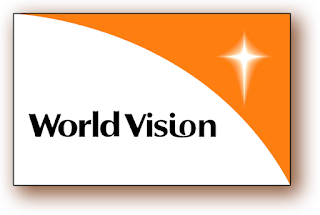 Position may require travel to international locations where World Vision works, in conditions that are quite basic.